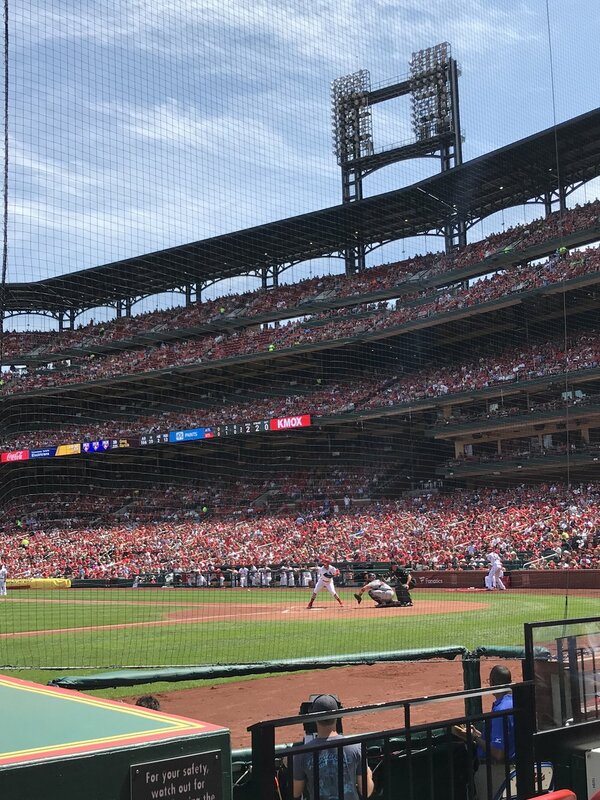 We returned to Busch Stadium almost exactly a year since our last visit, and by coincidence the Atlanta Braves were in town once again. Cue another three game weekend of baseball and St. Louis fun. 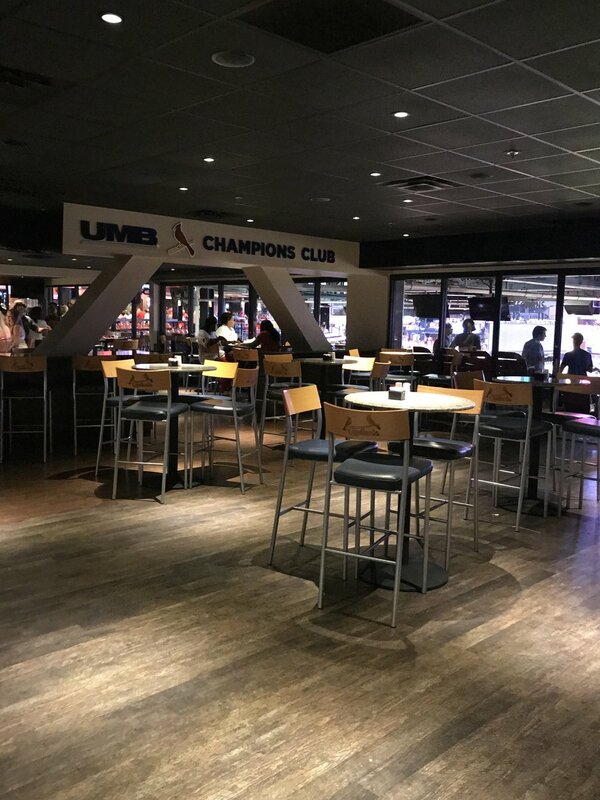 Seat location each day varied from upper deck to The Champions Club (hello, unlimited food and drink!) to just behind the visitor's dugout. 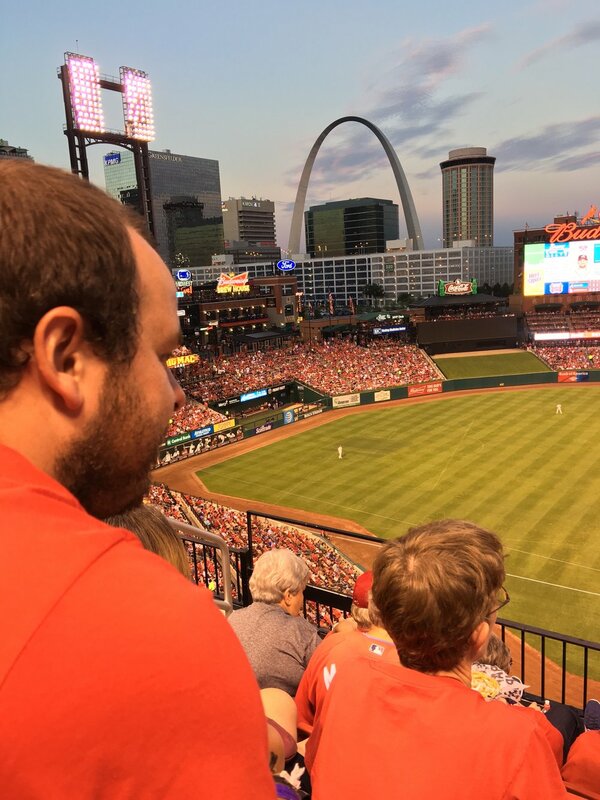 We took our first trip together down to St. Louis to see a weekend of games. The first, we watched from the Ballpark Village in front of the largest screen ever seen to man. A low scoring 1-0 game was only partially witnessed due to the main focus being on the alcohol and great food on offer. The second day we headed for all-inclusive drinks and all you can eat food. The experience was terrific but the result was not what the home fans wanted although the scoreline is somewhat deceiving as the game was close until a catastrophic 9th innings saw the away team rack up 6 more runs. 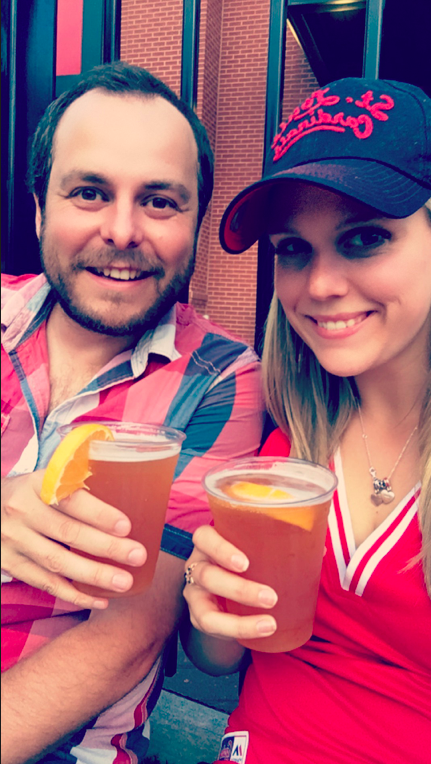 On the last day we took the more authentic approach, with Mel introducing Pete to Busch Stadium for the first time. Unfortunately, this too ended in defeat with the Cardinals this time giving up 6 runs in the first two innings. 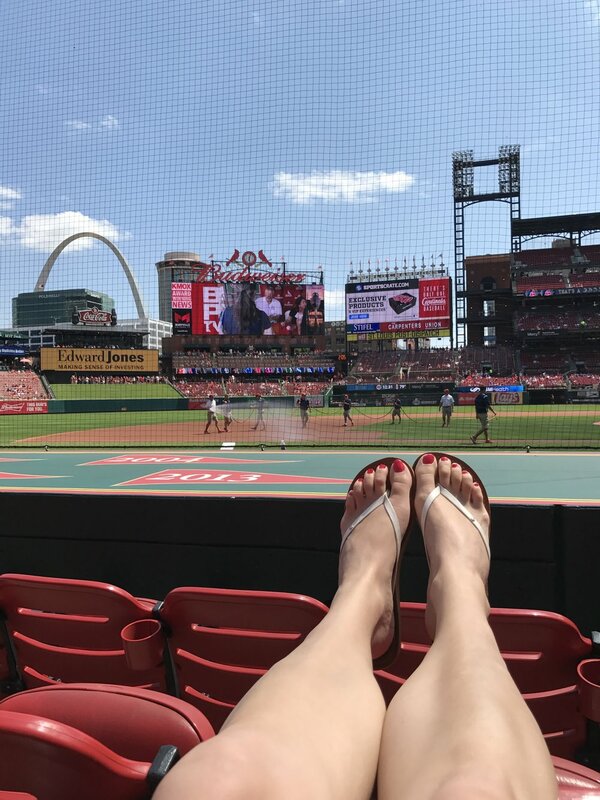 While planning a trip to St. Louis for later in the summer, we couldn't resist seeing the Cardinals when they came to Chicago earlier in the season. This was Pete's first time stepping foot inside the stadium grounds and seeing the Cardinals take home a win. 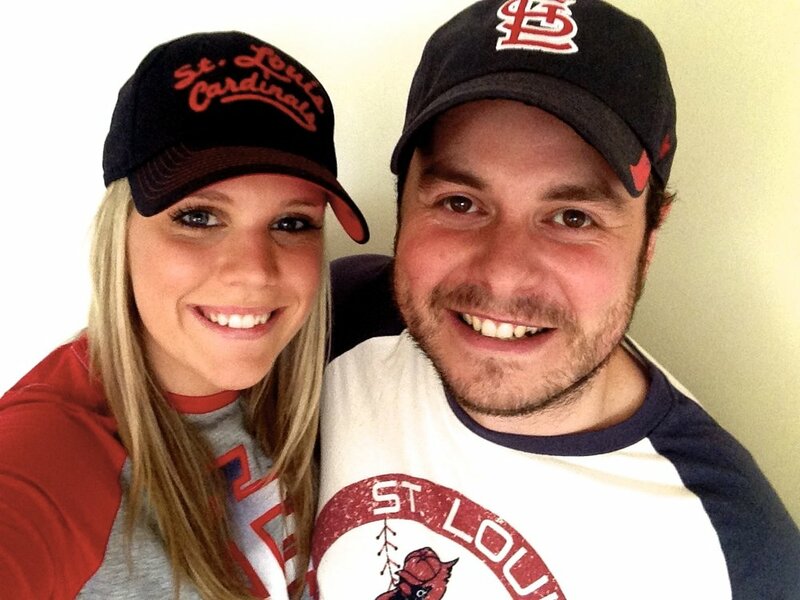 Mel was born and raised a St. Louis Cardinals fan. On this day, she introduced Pete to both the sport of baseball and her parents for the first time. Luckily, Pete scored more points than the Cardinals, who were defeated by their arch rivals away from home. We did not technically set foot in Wrigley Field, as our tickets took us to the rooftop bleachers, an iconic way to view games in Chicago. The accompanying food, beers, and views helped to ease the loss.